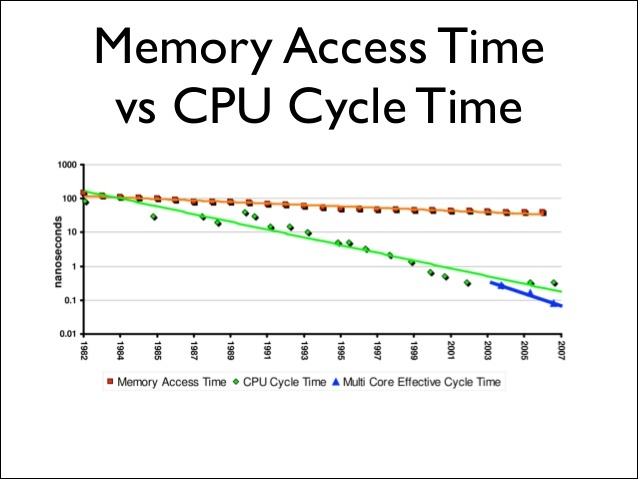 Summary: Difference Between Access Time and Cycle Time of Memory is that Access time is the amount of time it takes the processor to read data, instructions, and information from memory. While Cycle Time of Memory is the time that is measured in nanoseconds, the time between one Ram access of time when the next Random Access Memory RAM access starts. Access time is the amount of time it takes the processor to read data, instructions, and information from memory. A computer’s access time directly affects how fast the computer processes data. Accessing data in memory can be more than 200,000 times faster than accessing data on a hard disk because of the mechanical motion of the hard disk. Today’s manufacturers use a variety of terminology to state access times. Some use fractions of a second, which for memory occurs in nano seconds. A nanosecond (abbreviated ns) is one billionth of a second. A nanosecond is extremely fast. Other manufacturers state access times in MHz; for example, 800 MHz RAM. While access times of memory greatly affect overall computer performance, manufacturers and retailers usually list a computer’s memory in terms of its size, not its access time. It is the time that is measured in nanoseconds, the time between one Ram access of time when the next Random Access Memory RAM access starts. Access time were used as synonym of it but IBM separates that with some explanation. That Cycle Time find the right place for the memory to take place in the memory and transfer time of that information/process. So one should not get confused while thinking about the Clock Cycle or Clock Speed which have to do with number of cycles/second to which a processor is paced.